Jacques Derrida’s writings have provoked strong feelings among critics of all stripes. 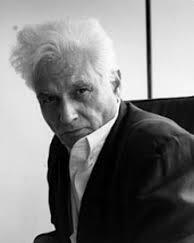 In this special event to commemorate Derrida ten years after his death, three distinguished speakers will address how his writing has affected the ways they think and write about literature. More often heatedly discussed than closely read, Derrida’s prose poses a singular challenge to a group dedicated to questions of interpretation. Each of our speakers will therefore discuss a single page of Derrida, outlining how it has influenced the ways they read. Arthur Bradley (Lancaster) will address an excerpt from Of Grammatology, John Bowen (York) a page from The Post Card, and Ziad Elmarsafy (York) a passage from ‘Hospitality’. These short presentations will be followed by open discussion. We hope this event will provide an accessible approach to a thinker whose name is often considered synonymous with difficulty and obscurity. All comers are welcome, from the post-structural sceptic to the deconstruction devotee. This event will take place at the University of York from 6:00pm on Wednesday 12 November. This event is part of the Reading and Interpretation event series for staff and postgraduates interested in questions about how and why we read literature. For more information about the group and copies of reading material please visit our website or contact Alex Alonso or Doug Battersby. This entry was posted on Monday, October 27th, 2014 at 3:21 pmand is filed under . You can follow any responses to this entry through the RSS 2.0 feed. Both comments and pings are currently closed.